From across southern Africa, KRISTEN VAN SCHIE brings you a weekly round-up of news making regional waves. The United Nations (UN) last week condemned the arrests of dozens of opposition members in the Democratic Republic of Congo, just days before the United States’ ambassador to the UN paid her first visit to the country. Nikki Haley reportedly met with dug-in President Joseph Kabila on Friday for a conversation she described as “firm” and “candid”. According to Reuters, Haley said she “made very clear that the United States wanted to see elections in the Democratic Republic of Congo in 2018 and we wouldn’t accept elections any later”. Kabila’s term expired in 2016, with the government blaming logistical difficulties for postponing the vote. A deal reached with the opposition allowed Kabila an extra year in power on the condition elections were held before the end of 2017. But earlier in October, the country’s electoral commission said it would only be prepared to hold the polls in 2019, sparking outrage. “A relationship with the United States is dependent on how [Kabila] acts going forward,” Haley said. Just days earlier, 28 supporters of the main opposition party were arrested by the security forces in Lubumbashi, the country’s second city, where leader Felix Tshisekedi was due to hold a rally. Tshisekedi alleged a few days later that he was being “held hostage”. Zimbabwe last week denied that the World Health Organisation (WHO) had ever named President Robert Mugabe as a goodwill ambassador, even as it insisted that the controversy around his since-rescinded appointment has been great marketing for the health body. WHO director-general Tedros Adhanom Ghebreyesus backtracked on his appointment of Mugabe as Non-Communicable Diseases (NCD) ambassador after a global outcry. Doctors routinely complain of equipment shortages, with power and water cuts impacting on surgeries. The country is also battling a typhoid outbreak. “I have consulted with the Government of Zimbabwe and we have concluded that this decision is in the best interests of the World Health Organisation,” Adhanom Ghebreyesus said in a statement. Your loss, responded Zimbabwe’s government. Speaking to the state broadcaster, foreign minister Walter Mzembi said the “inordinate noise” around Mugabe’s short-lived appointment raised public awareness about both NCDs and the WHO itself. “On a name recognition scale, this name beats them all,” he said. Meanwhile, Mugabe’s spokesman said the appointment was never official in the first place. “There was nothing, whether verbal or written, from the WHO intimating that WHO wished to make the president a goodwill ambassador in respect of NCDs,” George Charamba told the state-owned Herald. 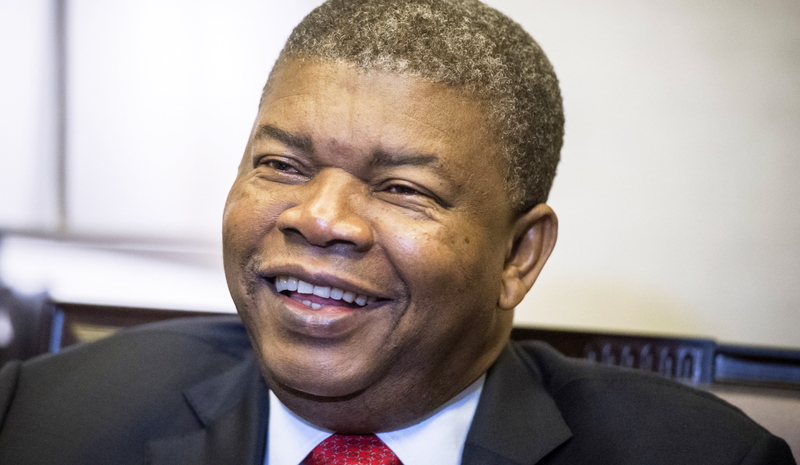 And in Angola, new president João Lourenço is making surprising moves against the patronage network that defined his predecessor Jose Eduardo Dos Santos’ rule. Lourenço last week appointed Carlos Saturnino as the country’s oil minister – a man previously fired by Dos Santos’ daughter and head of the state-owned oil company Sonangol, Isabel Dos Santos. “Saturnino’s appointment signals a potential clash between the ministry and Sonangol,” reports Reuters. The agency also reports that Lourenço has fired long-time government fixtures, like vice president Manuel Vicente and minister of state Manuel Hélder Vieira Dias Jr.
“It was unexpected at this early stage,” former prime minister Marcolino Moco told Reuters.